BioGenesis is measured by its quality of its product’s and efficacy, but also by its purity. Doctors and patients deserve more than just results from the products; they also deserve the comfort of knowing their supplements are formulated from high‐quality, contaminant‐free ingredients and are manufactured according to stringent guidelines. UltraLean Body Composition is a powdered nutritional beverage that provides both macro and micronutrients for individuals who want to improve body composition and lose or maintain weight. Features specialty nutrients to help promote blood sugar control and efficient fat metabolism. ULTRALEAN FUNCTIONAL FOODS are designed to promote fat loss while preserving lean tissue to support healthy body composition. UltraLean functional foods (available in whey protein-based chocolate, vanilla, and strawberry banana and vegan protein-based vanilla flavors) are formulated to support healthy metabolic activity. Stimulants such as ephedra and ma huang are not used. ​​Instead, ​​​​UltraLean functional foods nutritionally support fat cell metabolism. That means no jitters, rapid heart rates, insomnia, heart palpitations, prostate swelling, or urinary retention. UltraLean functional foods are designed to be safe and effective. ​​UltraLean functional foods provide nutrients for science-based weight loss and blood sugar stability. They are high-protein, low- carbohydrate, low-fat, multivitamin/mineral, specialty nutrient beverages that can be used long term with a balanced, calorie-controlled diet and exercise program to achieve your desired body composition goals. ​​Each bar contains high quality whey protein to encourage maintenance of lean body mass. Fortified with minerals, vitamins, and antioxidants. Helps stabilize blood sugar levels. Available in 3 different Flavors!!! LOW IN NET CARBOHYDRATES to support healthy blood sugar levels. Ultra Low-Carb Bars are sweetened with natural low-glycemic sweeteners such as Fruitrim® and agave nectar as well as sugar alcohols to facilitate a more balanced glycemic response. Each bar contains eight net (effective) carbohydrates or less. 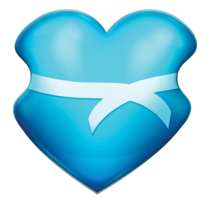 These bars are free from artificial sweeteners including sucralose, saccharin, and aspartame. ESSENTIAL FATS from healthy nut sources help support appetite control and cellular health. Macadamia nuts are a source of omega-3 fatty acids, essential fats shown to support cardiovascular health and help reduce inflammation. Almonds are a source of monounsaturated fatty acids, shown to support healthy blood lipids. Peanuts are another healthy fat source that promote cellular health and prolong satiety. MICRONUTRIENT FORTIFIED to provide the essential tools for all metabolic processes. Each bar is fortified with micronutrients such as chromium and vanadium to help support proper insulin activity and glucose control. LOW IN CERTAIN ALLERGENS to be suitable for all individuals. Ultra Low-Carb Bars are free from gluten, wheat, and soy protein. Ultra Greens Goji Berry Bar is a comprehensive yogurt-covered multivitamin/mineral specialty bar rich in antioxidants and phytonutrients. 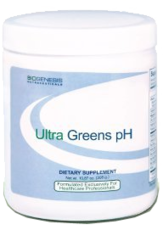 ULTRA GREENS pH makes meeting daily nutrient intakes and supporting body pH levels easy. Ultra Greens pH combines micronutrients, grasses, sea vegetables, enzymes, and a vegetable blend in a great-tasting powdered formula. ​​The term pH is used to describe acid/alkaline balance. The human body functions optimally at a slightly alkaline pH of 7.2 -7.4. When the body is too acidic, it can create a favorable environment for pathogenic yeasts, microbes, and viruses as well as promote bone loss and cardiovascular decline. ​​Increasing intake of healthy greens through Ultra Greens pH is a simple and convenient way to support balanced body pH and improve overall nutritional balance. ULTRA GREENS GOJI BERRY BAR is a unique and healthy option for patients seeking a snack rich in antioxidants and specialty nutrients. Packed with healthy greens, essential fats, and goji berries, Ultra Greens Goji Berry Bar provides a convenient meal supplement with an exceptional nutritional profile. Contains prebiotics to support healthy gastrointestinal flora​. Contains a blend of spinach and spirulina and provides high-quality whey protein and 2500+ ORAC per serving. Ultra Greens pH is a superfood powdered greens beverage that is rich in phytonutrients, antioxidants, and supportive enzymes. Our UltraLean Bars are a great option individuals looking for a healthy snack or meal replacement. Designed to be macronutrient balanced, these great-tasting bars support blood sugar control while providing quality nutrition. These bars are available as rice or whey protein and each contains organic nut butter as a source of healthy, satiating fat. An excellent option for those individuals looking for a tasty, convenient way to increase their protein intake. Provides 25g of whey protein per serving. BioFocus Bar is part of a comprehensive program for children and adults. Specialty bar formulated to support healthy neurological function. Convenient and delicious nutrition for children on the go. Nutritionally designed to promote blood sugar stability, improve nutrient density, and support neurological and cognitive function. ​​Research has shown that a balanced healthy diet, especially one rich in essential vitamins and minerals, can correct low blood concentrations of the nutrients that are essential for proper brain function. ​​BioFocus Bars are designed to be used as a between meal snack or meal replacement to balance blood sugar levels and help children stay focused and on task. must follow a clean, low-allergen diet that is rich in vitamins, minerals, and antioxidants. BioCleanse Plus Powder Made with rice, pea, and chlorella protein. Provides the same nutritional benefits as the original BioCleanse with additional specialty nutrients for gastrointestinal health. Ultra Fiber Plus is a powdered dietary fiber supplement with soluble fiber, insoluble fiber, and freeze-dried Lactobacillus acidophilus to support healthy intestinal function and elimination. control, and stable energy levels. While there are many nutrition bars out there, few are free of unhealthy additives such as hydrogenated oils, refined sugars, or artificial sweeteners while still providing an appetizing snack. BioGenesis UltraLean Spice bars contain all natural ingredients and supply a balanced profile of healthy carbohydrates, fats, and protein.